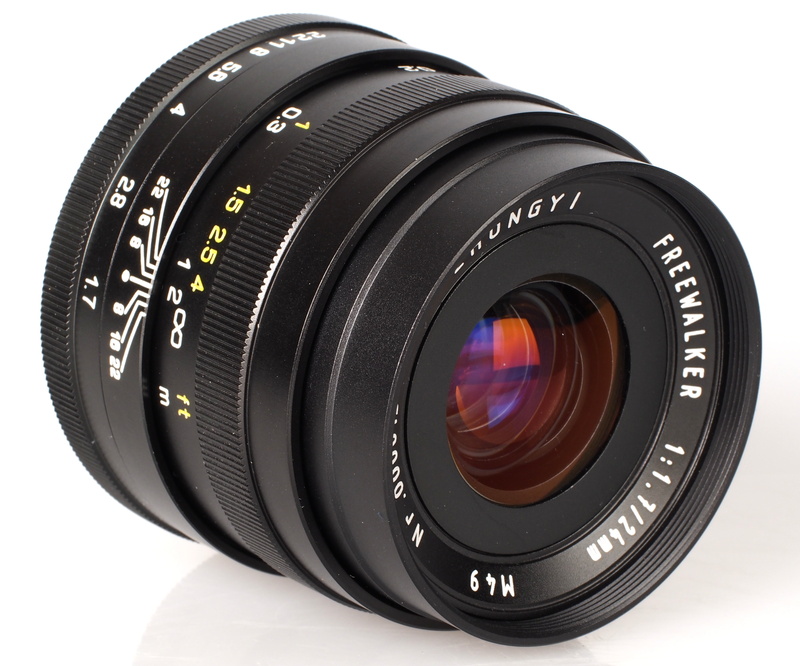 Gary Wolstenholme reviews the Zhongyi Freewalker 24mm f/1.7 Lens for Sony E mount and Fujifilm X mount cameras. You may be forgiven for asking who on earth Zhongyi are, and where they have come from. 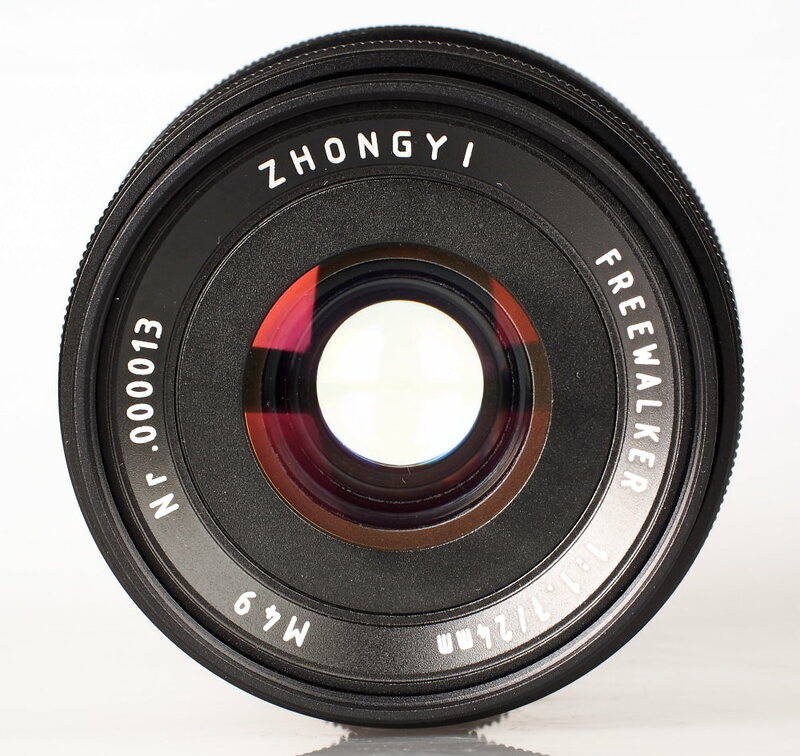 Zhongyi are a Chinese lens manufacturer who have been making lenses for around 30 years now. They have recently bought the Mitakon brand, and have begun to expand their lens portfolio to include lenses for Fuji X-series and Sony E-mount cameras with APS-C sensors, as well as Micro Four Thirds cameras. This manual focus wide angle lens for the Sony E-mount system provides an angle of view equivalent to a 36mm lens on a 35mm camera and sports a fast f/1.7 maximum aperture. 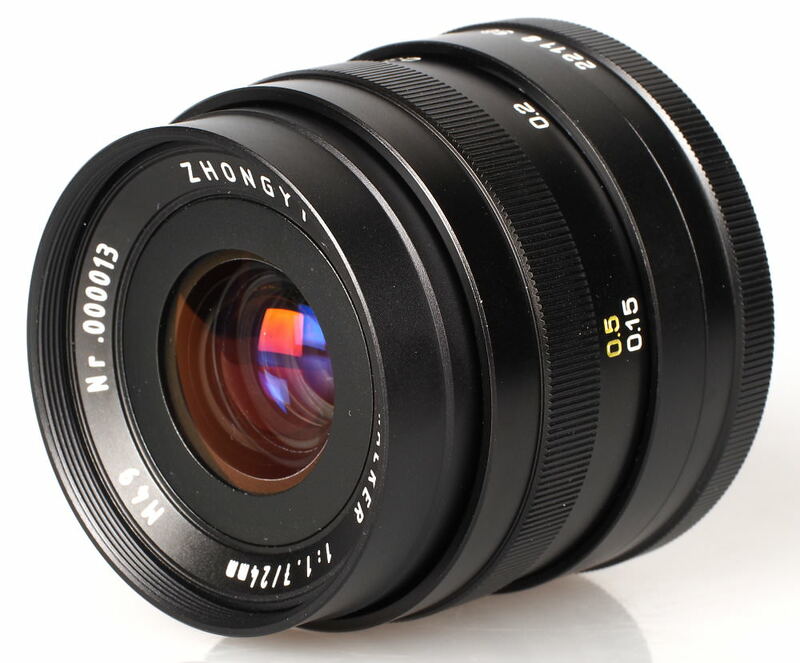 The lens costs $349 (£230) direct from Zhongyi, which seems reasonable. In this review, we'll take a look at how it performs. This lens sports an all-metal lens barrel and mount, finished in satin black. The build and finish is reminiscent of lenses from a more simple time, when M42 screw fit lenses were king. The lens feels quite weighty for its size, thanks to the heavy-duty construction, but it still only weighs under 250g. As a result it feels like a good companion to the Sony Alpha 5000 camera used for testing. The focus and aperture rings are well damped and very smooth to operate. There is just the right amount of resistance there to prevent accidental movement and fine adjustments are a pleasure to apply. Those who record video often, will be glad to hear that there are no click stops on the aperture, which allows seemless exposure adjustments to be performed whilst recording. A useful hyperfocal scale is etched onto the lens barrel and closest focus is 15cm, which is quite close for a lens of this type. The scale on the aperture ring isn't linear, so the ring needs to be turned further at fast apertures than at slower ones to apply the same amount of adjustment. This can take some getting used to, as close attention need to be paid to what aperture values are actually written on the ring, especially as aperture values at the slower end of the scale are so closely bunched together that some values are missing. 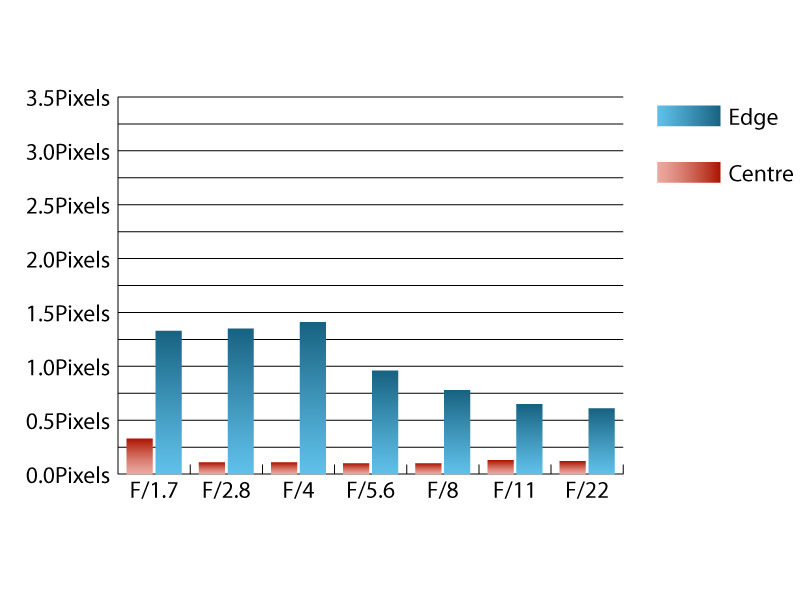 The lens accepts 49mm filters, and the filter ring does not rotate during focusing, which will aid the use of graduated and polarising filters. Even though this lens is sold as an alternative lens, more for the effect it can deliver, rather than for out and out sharpness, performance is as you may expect for a wide angle lens with a fast aperture. Sharpness is good in the centre of the frame at f/1.7, increasing to excellent levels as the aperture is stopped down to around f/4. Towards the edges of the frame, clarity isn't quite as good at fast apertures and the lens really needs stopping down to f/8 or beyond to achieve very good sharpness edge to edge. For this review, the lens was tested on a Sony Alpha 5000 using Imatest. Chromatic aberrations are a little high towards the edges of the frame, exceeding one pixel width between f/1.7 and f/4. Care may need to be taken when shooting scenes with high contrast areas near the edges of the frame as a result. Falloff of illumination towards the corners is quite well controlled for a lens with a fast maximum aperture. At maximum aperture, the corners are 1.87 stops darker than the image centre and illumination is visually uniform by f/4. Imatest detected 1.65% barrel distortion, which is fairly typical for a wide angle lens with a fast maximum aperture. The distortion pattern is uniform across the frame, so applying corrections in image editing software should be relatively straightforward. Contrast is lacking with this lens, especially when shooting into the light. In a way, this helps to enhance the effect produced by this lens, although it's worth taking note of if you were expecting performance similar to what you'd get with a more mainstream optic. 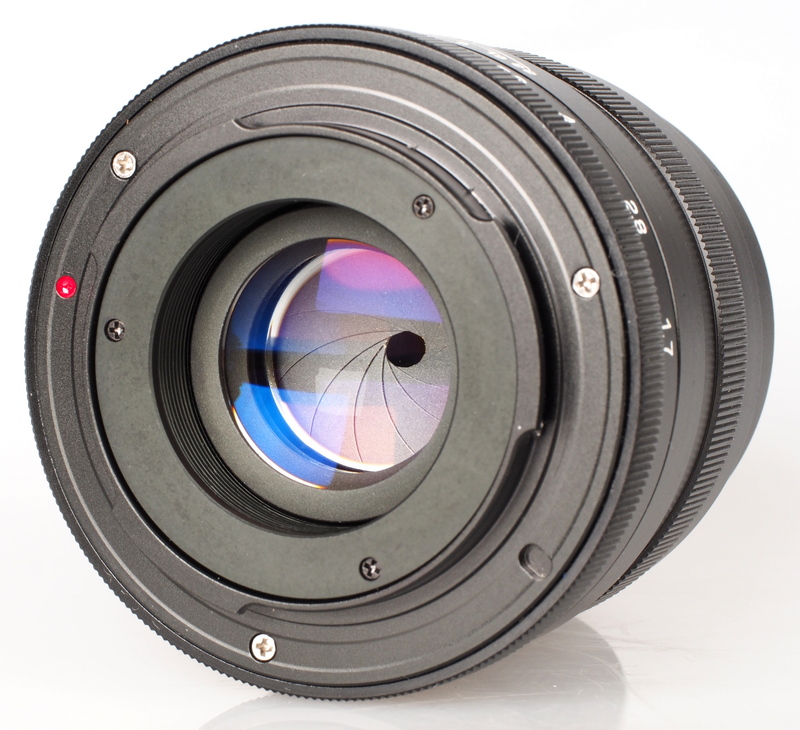 With a price of around £230 direct from ZYOptics, the price of this lens is comparable to other similar optics. 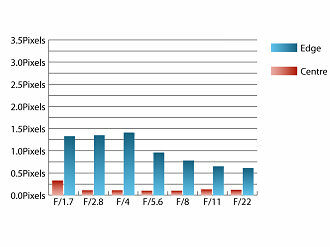 For example, the SLR Magic 23mm f/1.7 lens (which looks similar) costs around £250. Here we have a fairly interesting lens, that produces a pleasing, low contrast effect, with good sharpness in the centre of the frame at fast apertures. This lens sports good build quality and it handles well too. The stepless aperture will be a bonus for those who wish to shoot video with the lens, but may take some getting used to for those shooting stills, who may be used to more defined aperture settings. 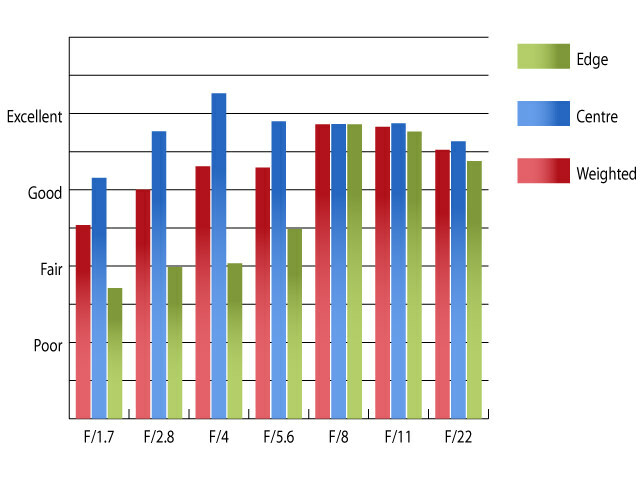 The price of the lens is comparable to other, similar offerings too.